DPA's d:vote™ 4099 Instrument Microphones are allowing the internationally acclaimed accordionist to fully express himself when he plays live. Slovenian accordionist Jure Tori is using DPA d:vote™ 4099 Instrument Microphones to bring extra energy and quality to the sound he is achieving on stage. The internationally acclaimed musician recently bought two d:vote microphones from DPA's Slovenian distributor, Sonus, and is now using them for all of his live performances. "When you're playing an accordion, the whole body is involved," Tori says. "Therefore I need microphones that enable me to move and express myself without limitations. With a DPA d:vote™ 4099 Instrument Microphone attached to my accordion, I am able to pick up the sound of the entire keyboard and really capture the sensitivity of my music." A unique and charismatic musician, Jure Tori has performed on stages all over the world, both as a solo artist and in collaboration with other musicians such as Austrian double bass player Ewald Oberleitner and guitarist Ariel Cubria. He also plays as part of the group Orlek and recently established the Tori Trio with Oberleitner and percussionist Ganesh Anandan. His reputation as an accordionist is now so well established that his songs are part of the curriculum programme for students of accordion and his compositions have been published by the Slovenian Music Information Center. His music has also been used to accompany animations by Dušan Kastelic (Bugbrain Institute), in movies by Metod Pevec and in various Slovenian and Austrian documentaries. "My compositions express my personality, traumas and pleasures - sometimes in a funny way and sometimes in a sad way" he explains. "DPA microphones have brought real progress to my music, especially the work I am doing with the Tori Trio. With DPA, I have achieved more live musical energy, improved the quality of the sound and found it much easier to play my instrument." DPA's d:vote™ 4099 Instrument Microphones are renowned for their audio quality and their versatility. Despite their tiny, discreet size and lightweight design, these clip mics are rugged, stable and perfectly suited to the rigors of touring and live performance. 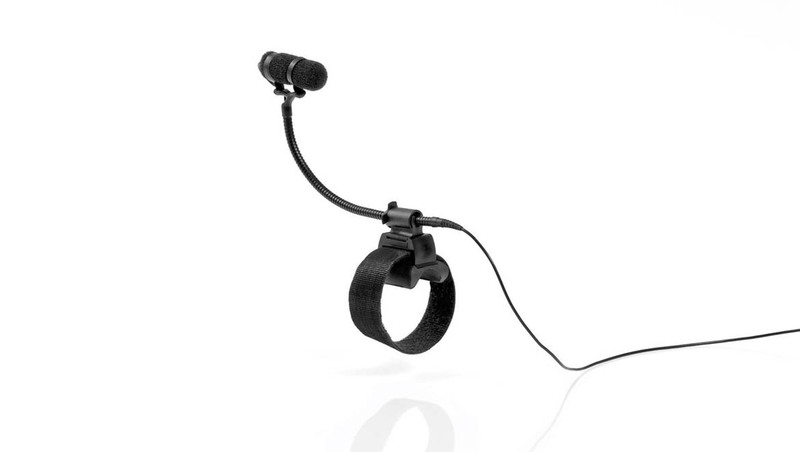 Intended for fast-paced settings, the mics can easily be unclipped and repositioned or moved to another instrument with only one hand. Additionally, the d:vote™ microphone’s mounting system is designed to be extremely gentle, never marring the finish of an instrument. "On an accordion, the constant sound of the bass is very important and these microphones enable that sound to be properly picked up," Tori adds. "They also make it much easier to record live concerts. I have managed to find a good solution for fixing and positioning the microphones on both sides of the instrument and as a result I am really enjoying the sound these microphones are delivering."